Full-Featured Monitor Keeps You ConnectedThe D-Link DCS825L WiFi Baby Camera has all of the features you'd hope for in a video baby monitor; but its extras make it something really special. The full HD resolution video automatically switches to night vision mode in darkness, providing you with high-quality video footage of your baby in any lighting condition. This baby monitor automatically connects to your WiFi network, allowing you to stream your footage directly on your smartphone, PC or tablet. And, with two-way audio, you're able to not only hear your baby, but also communicate back. The D-Link DCS825L WiFi Baby Camera features sound and motion detection as well as temperature sensor, which can be configured to send you an alert if your baby wakes up from a nap, begins crying, or if the room becomes too hot or cold. Insert a MicroSD card so you have a record of snapshots or video. This baby monitor also includes a lullaby player with five recorded songs perfect for putting your little one to sleep. 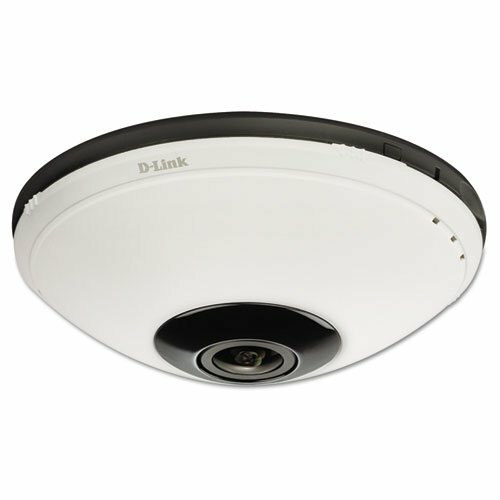 The D-Link DCS825L WiFi Baby Camera is the best way to be with your baby when you aren't physically in the room. With 360 of Surround View coverage, this network camera does the work of multiple cameras in one sleek, versatile package. It is equipped with a fisheye lens for both 180 panoramic view and 360 surround view modes, giving you complete vision of your business, home or office. With the latest cutting-edge image processing, images captured from the fisheye camera can be converted into multi-panel rectilinear projection for the ultimate in business and home surveillance. And with ultra-smooth digital pan/tilt and zoom functionality, you can easily keep an eye on what you value most. The camera delivers the confidence of 2 MP video clarity, ensuring rich detail and crisp image quality for your surveillance recording.